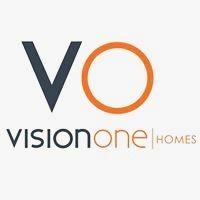 Vision One Homes can help you build your next home - your dream home. Searching for a new home is a stressful experience, and it can be expensive even if you do not find the right home for your family. With our in-house design team, we can help turn your ideas into a reality. Be open about your ideas for your new home and we will find the perfect block of land for it. Choose between one or two storey homes, with a heavy-duty double brick setting or an alternative lightweight construction material. Our team can help sort out of your finance options so that nothing can stand in the way of your dream home. Contact us today for more information about what Vision One can do for you.